GREAT NEWS! YSA will serve as a national partner in Lady Gaga’s Born Brave Bus Tour, January-March 2013. Throughout the Born Brave Bus Tour, local Global Youth Service Day representatives will spotlight our shared belief that youth service is a powerful force in creating kinder, braver, safer communities. We’ll provide the information and resources so that kids and teens can find their voice and take action around issues that matter to them. 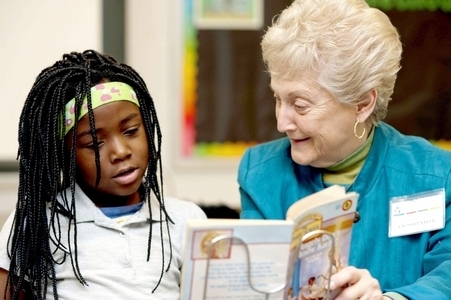 On January 24th, the Salisbury Post reminded their readers of the importance of mentoring. The article, “Mentor helps students develop reading skills” gives a brief look at Alene Yoder’s lifetime of service. Yoder is a mentor at Hanford Dole elementary where she is able to spend time with a second grader and third grader every Thursday. The book “The Gingham Dog and Calico Cat” was chosen to read with both second and third grader because the story challenges them but doesn’t overwhelm them. Alene Yoder is an excellent reminder of the need in serving our communities and schools.